Konus binoculars offer a diversity of styles for the budget-minded observer. 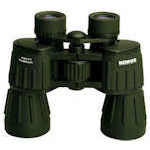 Choose binoculars for nature watching, hunting, sailing, travel, or spectator sports in sizes from compact to full size. 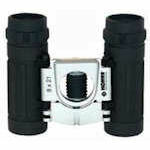 Konus Action binoculars are dual hinge roof prism compact designs. Konus Action binoculars are available in 8x21 and 10x25 models, with one 10x25 version being fixed focus. Konus Army binoculars are wide-angle porro prism designs in a military style, featuring BaK-4 glass and multi-coated optics. 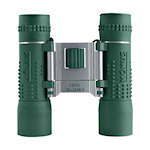 The green rubber armor makes these binoculars durable and dependable. 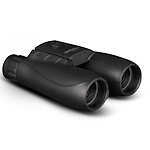 Konus Basic binoculars are modern-looking, low cost compact roof prism designs. 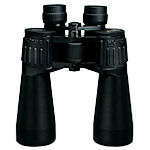 These binoculars feature black rubber armoring with a metallic bridge and a central focus knob. 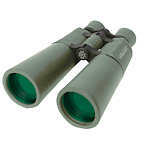 Basic binoculars come in 8x21, 10x25 and 12x32 models. 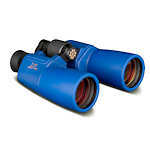 Konus Emperor binoculars are Konus's top of the line. They are waterproof and nitrogen purged. Their prisms have phase correction coatings for a brighter, sharper image. 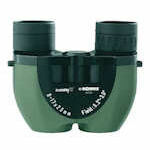 Konus Explo binoculars are budget-priced dual hinge roof prism compacts with ruby coated lenses. Konus Giant binoculars come in 20x60 and 20x80 models and are tripod adaptable, porro prism binoculars designed for astronomical observation. Despite their 20x magnification, Giant binoculars have a surprisingly wide field of view. Konusrex is the top series in the Konus binocular line. Available in 8x42, 10x42, 10x50, and 12x50, these binoculars are fully multi-coated, waterproof and nitrogen purged, and feature silver-coated BaK-4 roof prisms for improved light transmission. 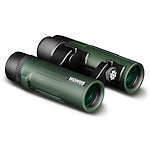 Konusvue binoculars are inexpensive porro prism designs in 7x50, 8x40 and 10x50 models, with the latter two being wide-angle. 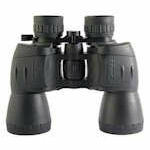 These binoculars feature a broad central focus knob and non-slip black rubber armoring. 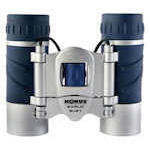 Konus Navyman 2 binoculars come in 7x50 and are waterproof and nitrogen purged for use on the water. 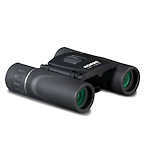 Konus NewZoom binoculars come in 7-21x40, 8-24-50 and 10-30x60 porro prism versions. All feature coated optics with large central focus knobs. 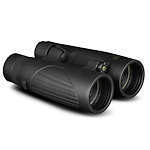 Konus Next binoculars are inexpensive compacts available in 8x21 and 10x25. Konus 3x25 Fixed Focus Opera Glass with Light for reading the program. 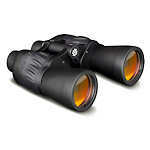 Proximo 8x56 and 9x63 Binoculars are ideal for viewing wildlife in low light conditions and star gazing. Konus Sporty binoculars are full-sized porro prism designs with fixed focus. Sporty binoculars have glare-cutting ruby-coated objectives, and are available in 7x50 and 10x50 wide angle configurations. 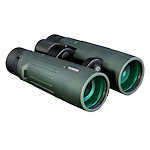 Konus Supreme-2 binoculars are double bridge compacts that are waterproof and nitrogen purged and have green coated lenses. 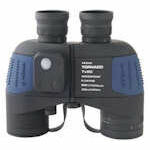 Affordable roof prism binoculars that have features like multi-coated optics, waterproof, fogproof, and BaK-4 prisms. Konus Tornado 7x50 I.F. porro prism binoculars are tactical marine binoculars with an intrinsic reticle, compass and illuminator. They and are nitrogen purged to be waterproof. They have individually focusing eyepieces. 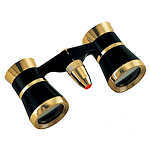 High magnification binoculars for distant objects. 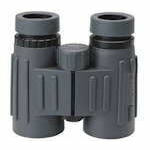 Konus Zoomy-2 8-17x25 binoculars feature a reverse porro prism design. 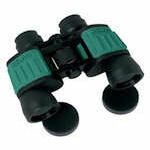 These stylish little binoculars have center focusing and green rubber armor with black accents.